The best and the brightest aren’t standing in line waiting for job interviews. Today’s engineering graduates are actively searching for opportunities in the US. Thanks to the internet they are well-aware of the opportunities that some Fortune 100 companies provide. 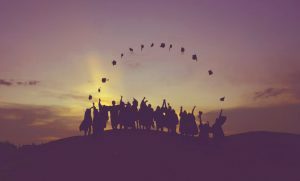 However, graduates are searching for jobs at startups and smaller businesses, in order to make a more personal contribution to a company’s success. Now smaller businesses and start-ups can discover, attract, and employ the most innovative engineering talent in the world, by participating at Viterbi’s first online career fair, sponsored by International Employment Experts. The event will be held April 5th, 2017 from 11AM-3PM PST. This is exclusively for USC’s esteemed Viterbi School of Engineering graduates and alumni with Master’s and Ph.D. degrees. Viterbi and International Employment Experts welcomes company participation in the online career fair. Employers will have the ability to host a booth and interview candidates online for 4 hours. There is no cost to participate. Employers are encouraged to save their spot and reserve a booth online. The deadline for employers to register for the online event is February 28. Delta Sky Magazine profiled Seattle’s businesses and community in their January 2017 edition. 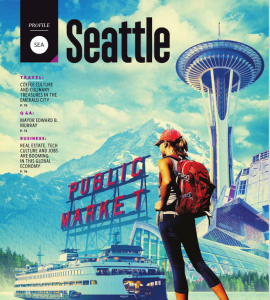 International Employment Experts was featured in the Seattle tech issue of Delta SKY magazine, accompanied by other Seattle businesses such as Microsoft and Amazon. The issue outlined how many startups and big tech companies are finding it hard to find young STEM talent with the right skills at the right time. Sky magazine is the official in-flight magazine for Delta Air Lines. It has a monthly readership of 5.2 million readers and has received multiple editorial and design awards, with insider info highlighting the best shops, restaurants, attractons and nightlife spots for 150 domestic and international Delta destinations. The magazine is also available for viewing online. CTS International, a global leader in staffing solutions for domestic and international aerospace customers, announced the launch of InternationalExperts.com. The new service offering delivers an international solution for growing businesses who want to attract, and hire, in-demand STEM talent. International Experts has found an efficient solution for locating and acquiring new talent. 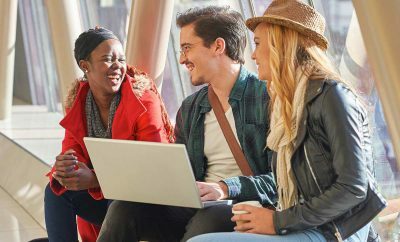 Virtual career fairs connect growing companies to graduating foreign student talent with Master’s and Ph.D STEM degrees. Businesses maintain the ability to conduct their normal selection process to determine whom to hire. International Experts then finalizes the offer agreement to become the employer of record and starts the required immigration services on the business client’s behalf. As employer of record, International Experts will complete I-9 verification, provide benefits enrollment, and undertake any required background checks. They start the process for immigration visas, so that the employee can obtain a longer-term or permanent visa. International Experts also offers an Accelerated Green Card Program designed to bring highly specialized, ITAR-compliant professionals to the US. CTS International specializes in bringing top talent and opportunity together from all over the world. The company holds preferred status with Fortune 500 businesses across North America with companies such as Boeing, Gulfstream and Mitsubishi Regional Jets. In the last 30 years, CTS International has brought in over 7,000 engineers to the U.S.
International Experts can give businesses a competitive edge by opening the door to otherwise unattainable talent. International Experts began in 2014 to provide greater opportunities for non-U.S. technical personnel and graduates. International Experts leverages CTS International’s proprietary skills-matching system, and international expertise to discover qualified candidates from all over the world, and connect them to highly technical job opportunities. A fully integrated payroll and immigration service provides expedited processing of visas and green cards for newly hired international employees—allowing clients to focus on business, not immigration. Visit www.internationalexperts.com for more information.